MirC controllers are sold in pairs, a sender board and receiver board. Contact closure inputs such as buttons, switches or other electronic devices (no voltage) attached to inputs on the sender board will energize the corresponding relay on the Receiver board. Communication between the Sender and Receiver is done through an Ethernet cable connected to a router. Pricing shown on our web site indicates pricing for the pair of boards. Each board is equipped with a Ethernet .NET module. The Ethernet module will connect to your router with a standard CAT-5 cable. The router will assign the module an IP address, the module will then check with the mirror server for the IP address of it's paired board. Once the modules know the IP address of each other they will connect directly with each other. LAN applications will not require an internet connection and the modules will find their mate on their own. The module is powered from the board and each board will require 12 volts of power and can be hard wired or you can purchase a "wall wart" type transformer at checkout. The MCNET MirC Devices will work on a local area network or over the internet. There are redundant communication channels between the two boards, as long as one of them is able to make connection, the boards will work. When two modules are in the same local area network, they can communicate to each other directly without a Mirror Server. No Internet connection is required. When two mirror modules are located in different networks, they can talk to each other through the NCD Mirror Server. Mirror modules can connect to up to four servers at the same time. As long as one of the servers can be connected to, the mirror modules will work. You can use the preloaded servers or you can use Base Station Software to customize the board with your own server and three backup servers. The server can be setup inside a local area network as long as both modules are able to access it. 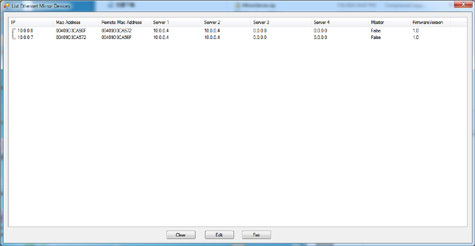 Multiple MirC Controllers can be used in one locations. One Pair of MirC controllers will not interfere with another MirC pair. With Base Station Software you can view and edit all paired communication settings. 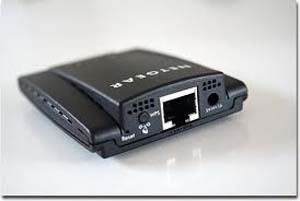 The Ethernet MirC has a standard CAT-5 connection but if you want to use a Wi-Fi connection because you are nowhere near a router you can simply use a Netgear WNCE2001 and plug it into the MirC Boards. The WNCE2001 was made for gamers who want to make their Xbox or whatever gaming system connect to a Wi-Fi signal instead of running CAT-5 cable. Just like you may want to do with the MirC boards, it works great. You connect the Netgear to your computer, select a Wi-Fi network and put in the password. You can then disconnect it from the computer and plug it into the MirC board and you have a Wi-Fi Connection. If they are on the same network or even over the internet they will find each other! Purchase a Netgear WNCE2001 for one or both boards on your own or select the Wi-Fi option at checkout to add to your order. MirC Controllers have Relays integrated into the receiver board. A relay is similar to a switch. The only difference between a switch and a relay is the actual mechanism for changing the on/off status of the switch. On a switch, you manually push on a piece of metal or plastic to operate the switch. On a relay, an electric current is used to operate the switch. Relays do NOT provide a voltage output. They provide a contact closure output and simply interrupt the power to the device you are switching. Wiring to a relay will be slightly different depending on the model of MirC controller you choose. The MIRCC1 is a Push Notification board that will allow you to use a relay from this board as an input and send an email or text message when the circuit is closed. The board will communicate the contact closure information to your computer through a USB or Wi-Fi connection. N-Button Software will then send a text or email from the computer to your selected recipients. A dedicated computer will be needed to run the software that sends the text and or email. The Push Notification board, N-Button Lite Software and a Power Supply can be purchased at checkout.